Controlled by PID micro computer, accurate humidity control. Wittmann Battenfeld India Pvt. Ltd. 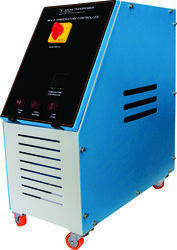 Mold Temperature Controller is used to maintain Temperature of Mold within limits. Variants Water Based, Oil Based. - Provide two Kinds of specifications of water or oil. The customer can choose according to their need. - The flow of horizontal pump can be always kept steady. - Newly designed, small foot print multifunctional. - Temperature separately controlled, used for controlling the temperature for two mould or two machines with different temperatures. - Easy to operate and maintain, with exquisite appearance. Brand: Matsui Technologies India Ltd.
Winter in Jaisalmer are alot cooler with day temperature remaining pleasant around 24oC. And nights are chilly with temperature getting as low as 7 to 8oC. The winter falls around Mid-November and continues till February end. Water based Mould Temperature Controller up to 150° C.
In our range, we have sophisticatedly designed Mold Temperature Controllers for industrial usage. These mold temperature controllers are specially designed for mould heating and keeping constant temperature. Using heat-exchanging principle, our mold temperature controllers use water or high- heat-conduction oil as media. Our organization is offering Mold Temperature Controller to our clients. 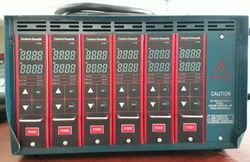 These high quality Mold Temperature Controller are made by using very high quality raw material which ensures hassle free work performance at its user end. These Mold Temperature Controller are available in various dimensions and specifications.